Here's Screenshot Saturday number twenty-six for OddBall! I've been continuing to work on the last few levels for OddBall. All the main levels are now complete and I am currently working on the last few "final battle" puzzles. 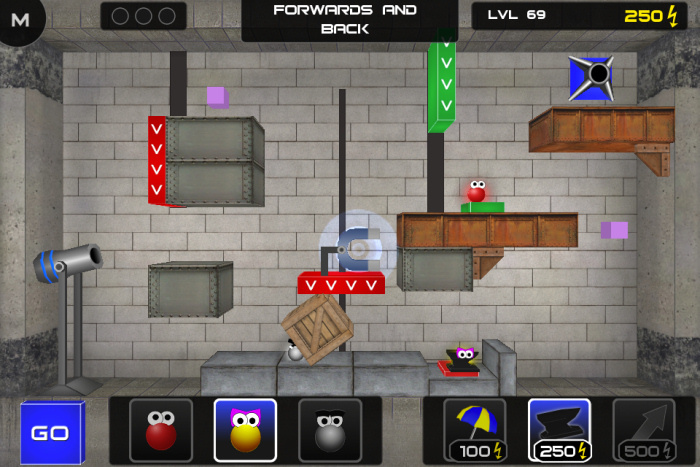 Today's screenshot shows a level with a magnet attached to a moving platform. The magnet attracts the metal OddBall, so you need to move the platform into various positions in order to score the metal OddBall.